Android is one of the most popular open-source mobile operating system that has been taking the world by storm. But since all good things are not always perfect, Android comes with its own limitations. Probably after a year of use, your android phone is liable to suffer from slow performance and feel laggy. The reason behind could be anything from running out of space issues, background running apps, heavy games, junk files to temporary files cluttering your disk space. Now the question arises, how to clean and boost up your Android phone? ITL Phone Cleaner – Cache Cleaner & Speed Booster is your answer. What does ITL Phone Cleaner offer? 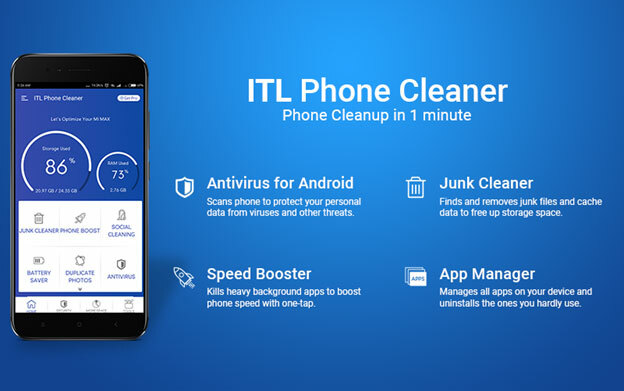 ITL Phone Cleaner ticks all the right boxes when it comes to cleaning, boosting and optimizing your Android smartphone. It has an easy to use interface that is both intuitive and smart. This phone cleaner for Android has over 10000+ downloads on the Play Store, thus winning hearts all over the platform. ITL Phone Cleaner will clean your phone junk, boost the speed of your device, optimize battery power, cool down CPU temperature and protect your device in real-time. Installation does not take much time as the app is quite lightweight. Furthermore, you get a junk cleaner, speed booster, battery saver, social cleaner, duplicate photos cleaner and antivirus for Android with the app. Other tools include a CPU cooler, game booster and an app manager. Apart from deleting android apks, useless junks and residual files, the antivirus module is another highlighted features that keeps your device from virus attack in real-time. The phone boost feature shuts down all background running apps and release RAM memory. The junk cleaning feature is introduced to clean empty folders, app cache, residual files and temp files from your Android device. With increased storage space you get a faster and smoother Android experience. Your device will speed up like there hadn’t been any lag issues in the first place. It removes junk files from your device by quickly analyzing storage space. 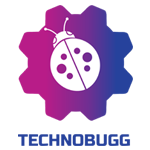 It detects and deletes system cache, temp files, app cache, APK files, residual empty folders and junk files from your device. This super cleaner for Android is easy to install. The simple user interface paves ways for perfect navigation. The junk cleaner allows user to uninstall applications that are not in use thus freeing up excess storage space and speeding the device in the process. The speed boosting feature offers an easy fix for your freezing Android phone. Loaded with numerous functions, this powerful module will keep your device functioning at optimal level freeing up huge amount of disk space in the process. From restricting background data to increasing processor speeds, this phone booster does it all. Just one-tap and you are good to go. Your phone is boosted within seconds. This speed booster app efficiently clears RAM memory and increase processing speed. It allows users to uninstall useless applications that are of no use. The Android booster optimizes and speed up your slow device. It performs one-touch speed diagnosis for boosting memory space. By terminating heavy background applications, it offers a better Android gaming experience. What are the other Android optimization features of ITL Phone Cleaner? Battery Saver: ITL Phone Cleaner offers a powerful battery saver tool for your Android smartphone. It shields your battery from draining out prematurely by offering the best power settings ideal for your device. You get an extended battery life by up to 50%. Furthermore, it also displays battery capacity, phone temperature and remaining usage time left on the app. All high power consuming parameters such as Wi-Fi, Bluetooth, vibration etc. are managed and kept under control. Social Cleaner: Social Media Cleaner is another awesome inclusion to ITL Phone Cleaner. It lets you enjoy ample space on your Android device by scanning for images, videos and audio files cluttering your social platform. You get option to delete such files from various platform at the same place. Download best super phone cleaner app to scans all sent and received files for better social media management. The app also lets you delete cache data generated by various media applications for better functioning and speed. Duplicate Photos Cleaner: The main function of Duplicate Photos Cleaner (also as the name suggests) is to identify duplicate and similar looking photos and delete them. Users are also allowed to set the degree of duplicity they wish to target for faster and smarter cleaning. ITL Phone Cleaner considers blurry shots and poor quality images as junks and offer options to delete them as well. Duplicate Photos Cleaner is the ideal photo organizer tool for your device. The app offers smart algorithm and customization techniques. Scanning is based on location and folders. You also get a preview of both duplicate and original images so that sorting and deleting gets easier. Antivirus for Android: This feature with keep your phone secure from viruses and other malware infection. By offering real time protection, ITL Phone Cleaner will get your phone running at peak performance. It notifies every time when you are about to install a malicious program or unwanted application. The app offer a protective shield against crucial threats and keep your personal data away from unauthorized usage. There is also a whitelist feature that lets you add files you consider are safe and save time during scanning. 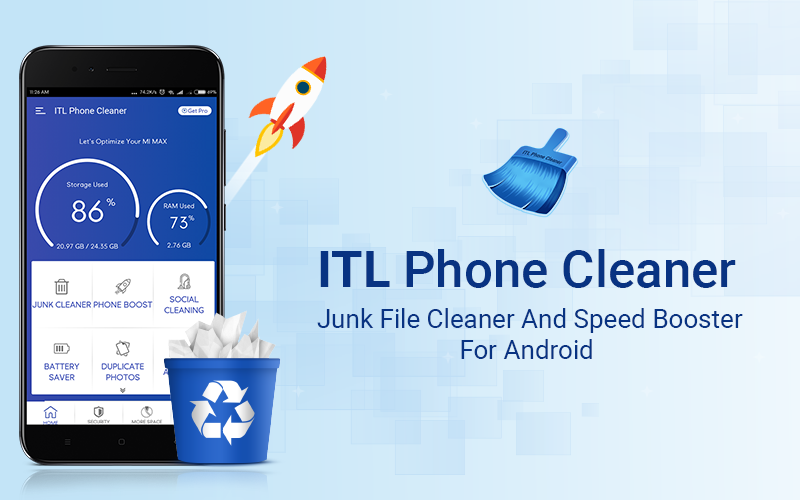 ITL Phone Cleaner is a free junk cleaner and phone booster for Android smartphone. It is an excellent solution to clean and maintain your severely freezing device with just one tap. The multifunctional Super Phone Cleaner app is an all-in-one package that cleans out your Android device and keeps your data safe. It does its best to analyze and clean up junk files taking up your valuable space and speed up your phone. The app’s pretty good and have been gaining huge popularity on the Play Store.